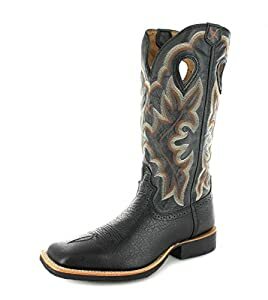 You want a pair of quality head turning mens cowboy boots? Well look no further than these beauties! - In a soft black leather with beautiful ebroidered stitching these boots oooze quality.